Many survival sites discuss being visible in a survival situation. They talk about signaling for rescue with smoke or signal mirrors. They talk about the fastest way to be spotted by other people. What if you do not want to be seen? 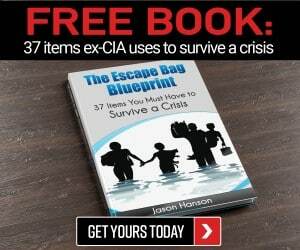 What if you have escaped from captors and are on the run? What if you have bugged out into the woods and do not want others to steal your resources. These are very real scenarios for which everyone should prepare. One of the easiest ways to be spotted when bugging out is your shelter. Often bug out shelters can be large and can easily be spotted against the horizon or a wooded background. If you do not properly hide your shelter, you could have people storming your camp in a matter of minutes. There are several ways to keep your shelter hidden, and I will cover the most important strategies. The easiest way to keep your shelter hidden is to use shelters that Mother Nature provides for you. This is especially effective if you only plan to spend a few nights in the shelter. Caves are a great example. People walking by would never know that it was a shelter unless they spot you inside. Many caves are deep enough and dark enough that you can remain invisible all day. It may not be the most comfortable option, but you can always drag some leaves or spruce boughs in to make a bed. Be cautious with fire in a cave. The heat can crack overhead rocks and cause them to collapse. If you are dealing with deep snow, the base of a spruce tree is a good option. Typically the branches of the spruce have kept snow off of the ground at the base. There is going to be a layer of dry needles on the ground for bedding and the overhead branches provide some protection above. The deep snow shields you from the side so you are not visible. You can even remove a few branches and stretch them across the opening so you are completely hidden. It is a quick, dry, and well camouflaged option. Trench shelters are a great way to stay invisible in any climate. This is a shelter where you dig a trench just wide enough and deep enough to fit your body. You line the bottom with natural bedding material. Then once inside you pull spruce boughs over top. This shelter is great to protect you from the wind or snow. In the cold it helps hold in your body heat without a fire. In addition, somebody would almost have to step on you to know it was a shelter. Another option for deep snow is building a snow cave shelter. This is where you dig in to the side of a snow drift at least four feet deep and carve out a cave in which to sleep. It will protect you from the wind, and you can even light a candle for a little warmth if you build it right. From a distance, a snow cave is not going to be visible. If you are in a pinch, this shelter could save you from hypothermia and frostbite while keeping you hidden. The second best way to build a hidden survival shelter is to build onto a natural structure. For example, if you find a dead tree that has broken off four feet up the trunk, lean branches on the fallen portion and then pile insulation on top. This is as quick of a build as you can ask for and it blends fairly well. If you have a rock overhang, build a bed underneath and lean branches at an angle against the rock. Again, this is super simple and blends in fairly well. 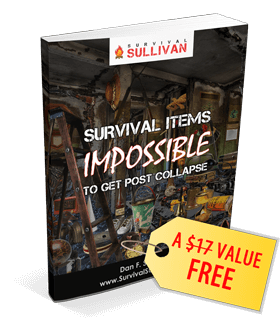 Using the resources you are given is one of the most important strategies for efficiency in a survival situation. If you are going to build a shelter in the traditional fashion, make sure you use natural materials. Tree branches, rocks, and leaves all blend into the natural colors of the forest. If you build using these materials, you will still be camouflaged from a distance. If an intruder gets close enough they will notice that the structure is man-made. However, the odds of them stumbling across your natural shelter are much less than if it was visible from a distance. If you feel the need to use man made materials such as a tarp or a tent, make sure you insulate it with natural materials. Any shelter can be made warmer with a thick layer of insulation. This also happens to be great camouflage. Once you construct your tarp shelter or erect your tent, use leaves or spruce boughs to cover the synthetic material. Be cautious not to poke any holes, but a layer that is two to three feet thick will make you invisible from a distance and make your shelter much warmer. There are items that you can purchase that may help you camouflage your shelter. They do make tarps with a camo pattern. This can be used to actually build your shelter, or you can drape it over your tent to help it blend in. You have also probably seen the camouflage netting that the military uses to hide their camps from surveillance planes. As long as you get netting that matches your environment, this can be very effective. However, it can be expensive and it is easy for it to get tangled with other items in your pack. Do not forget that you are not just hiding your shelter from people and vehicles on the ground. Anymore it is very common for helicopters, planes, and drones to be used for searches. In many cases it is easier for your camp to be spotted from above than from the ground. Try to build your camp in an area with decent overhead cover. If you cannot find overhead cover, camouflage your shelter on both the sides and the top. It is important that you are careful to avoid any objects that will tip off other people as to your location. Do not use any brightly colored cordage for constructing your shelter. If you have no other choice, cover it in mud once it is tied. Do not leave any shiny objects outside of your shelter that could reflect light back to other people. Try to find a tent or tarp that has dull colors so it is easier to disguise. You can also bring some camo duct tape to cover up any spots that may stand out. Another aspect of your shelter area that must be mentioned is the fire. Flames from a fire can be seen for miles, and some smoke columns can be seen for dozens of miles. The Dakota fire pit is the solution. Find a spot under a tree thick with foliage and dig a pit about two feet wide and two feet deep. The branches of the tree will break up the smoke so it is much thinner as it rises above the tree line. Dig a second pit six inches from the first. Then tunnel at the base to connect them. You can build your fire in the bottom of one pit and the other will draw in oxygen. The flames should then be below ground level and no longer visible to outsiders. If you plan to say with one shelter for several days at a time, it is important that your actions do not lead people back to your shelter. When travelling from your shelter to search for water or food, try to avoid using the same path more than once. This will make it harder for people to track you back to your camp. Also, make sure your appearance is camouflaged. Use camo clothing or mud to cover skin and help break up your profile against your background. If moving at night, use soot from your fire to black out your face and hands. Do not make any sudden movements and you should not draw much attention. None of us want to think we would ever be in a situation like this. What could we ever do to have somebody or a group of somebodies chasing us through the wilderness, right? It could happen. Desperate people do desperate things. When SHTF people will be frantic and will go after anybody who might have the resources to help. Most people will not be prepared. The average American would not last more than a few days without running water and electricity. Those that do not prepare will try to take from those that do prepare. If that situation does happen, you want to disappear and leave no trace. When you bug out there needs to be zero chance of anybody finding you. This is not something you just stumble into. Proper camouflage takes a good plan and good execution. There would be nothing worse than putting hours into building a shelter only to realize that it sticks out like a sore thumb. Take the time to do it right. This shelter will be your only real security for whatever amount of time you spend on the run. Make sure that it is secure. My name is Ryan Dotson and I am a survivalist, prepper, writer, and photographer. I grew up in the Ozark Mountains and in the foothills of the Pocono Mountains. My interest in survival started when I was in Boy Scouts and continued as my father, uncle, and grandfather taught me to hunt and fish. In the last few years I have started taking on survival challenges and have started writing about my experiences. I currently live in Mid-Missouri with my wife Lauren and three year old son Andrew. One of the simplest techniques used by the Border Patrol for locating a group of illegal aliens and/or smugglers is to spot low hanging smoke in the early morning hours, before the breeze picks up. It doesn’t matter that the fire may have been concealed from view the night before. You can’t control smoke. It will accumulate and settle in a thermal layer of air near your location. If your intent is to not be spotted, used a different means of cooking and warming. 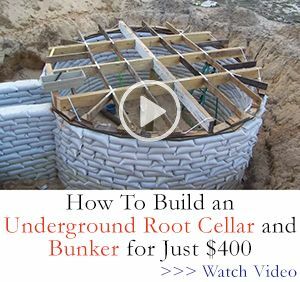 HAVE BEEN PREPING FOR QUITE AWHILE I’M A DESIGNER/ ARCHITECTURAL HAVE DESIGNED SOME SHELTERS QUICK AND LOW COST MY FAV FOR HEAT AND COOKING FUEL GEL WORKING ON MAKEING MY OWN AT LEAST 50% RUBBING ALCHOL KNOX GELITAN HAVE TO SEE HOW MUCH GALITAN YOU WILL NEED . NEED TO BE LIKE JELLO WHEN IT SETS NEED TO BE IN A CAN WITH A LID LIKE STERNO SO YOU CAN PUT IT OUT IF YOU WANT. ALCOHAL IS CLEAN BURNING NO SMOKE. VERY COOL I THINK. WORK ON IT AND MAKE YOUR OWN. OR BUY IT ACSE 24 CAN , $89. LAST TIMEI CHECKED. OUCH !THAT’S WHY I’M MAKEING MY OWN.